You may contact ARIA room reservations at 866.359.7757, 702.590.7757 or email at ariaresv@aria.com. You may also fax ARIA room reservations at 702-590-9724. Does ARIA offer event parking during T-Mobile Arena events? For complete details on T-Mobile Arena events parking, please visit the Aria parking information page. For assistance with baggage check-in, check-out and storage, please contact the bell desk at 702.590.9570. What Parking Options Does ARIA Offer for Hotel Guests? For complete details on parking, please visit the Aria parking information page. How Do I Get From the Airport to ARIA? If you are driving from McCarran Airport: head north on Paradise Rd. ; continue on Swenson St.; turn left at E. Harmon, continue west and then turn left onto Las Vegas Blvd South, turn right onto ARIA Pl. 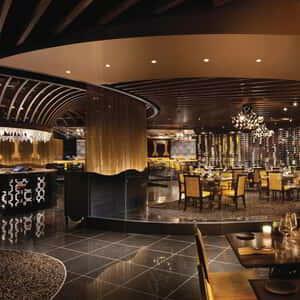 The Concierge at ARIA can arrange sedan and limousine services from the airport. You can reach the Concierge at ARIA at 877.347.2742 or 702.590.9520 or fill out our online request form on our Concierge section of the ARIA website. If booking a room in our Sky Suites, luxury transportation to and from the airport is included in your reservation. For more information, please visit our Concierge page. Typical guestrooms provide: custom ARIA mattress with triple-sheeted, 300 thread count linens; robes; stocked mini-bar; 42" LCD HD television that allows multiple connectivity; integrated one-touch Control 4 system with bedside, 7" touch-screen technology allowing for easy navigation and customization of room settings; workstation with high-speed, wireless and wired internet connections; laptop size in-room safe; 100% cotton bath linens; shower with bench adjacent to a soaking tub; granite dual sink vanity; private water closet; hair dryer; iron and ironing board; shampoo, conditioner, lotion and shower gel. For more information, please visit our Hotel pages for each room. Check-in time is 3:00 PM. Check-out is at 11:00 AM. Our Bell Desk can store your luggage at no charge until your room is ready. Does ARIA Offer AAA or Government Rates? We offer AAA and government rates. Please contact Room Reservations directly at 866.359.7757, 702.590.7757 or email at roomresv@aria.com. You may also fax ARIA Room Reservations Department at 702.590.9724. Yes. The Concierge at ARIA can assist with special gift ideas, floral arrangements and provide unique recommendations and can be delivered to guestrooms shortly after arrival. You can reach the Concierge at ARIA at 877.347.2742 or fill out our online request form on our Concierge section of the ARIA website. Does ARIA Have a Shuttle or Transportation Services? The Concierge at ARIA can arrange any transportation requests including shuttle, sedan and limousine services to and from the airport as well as arrange for any transportation needs you may have during your stay. Please contact the Concierge by calling 877.347.2742 or email concierge@aria.com for more details. If booking a Tower Suites, learn more about the Tower Suites VIP Arrival Experience here. If booking a Sky Suites, complimentary airport transfer is included in your reservation. Contact ARIA Room Reservations Department at 866.359.7757 or 702.590.7757. You may also sign the ARIA guestbook on our website to receive information on specials via email and connect with us via our Facebook and Twitter pages. Accessible rooms and suites are available as well as rooms equipped with lifts. Additional equipment is available upon request. Does ARIA Have a Resort Fee? A $39 Daily Resort Fee plus applicable tax is applied to each hotel reservation and includes amenities that are sure to enhance your experience at ARIA Las Vegas. The resort fee includes: Property-wide high speed internet access (public spaces and in-room), unlimited local and toll free calls, airline boarding pass printing, notary service, daily digital newspaper access and fitness center access for guests 18+. *ARIA Sky Suite guests receive additional amenities, inclusive of daily newspaper delivery and exclusive access to Sky Pool. Does ARIA Have Internet Access in the Rooms? Internet access in the rooms is included in the daily resort fee. Internet access is complimentary for guests staying in any suite. We do not allow pets at ARIA, with the exception of assistance animals. Guests wishing to board your pets while staying at the hotel may contact the Concierge for information. Does ARIA Offer a Day Pass to the Pool Area for Non-Guests? Liquid Pool Lounge at ARIA is open to guests and non-guests of the hotel (special rates apply); however, you must be a guest of the hotel to access the ARIA Pools. 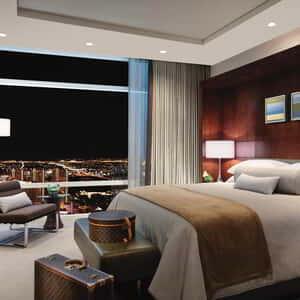 Does ARIA Resort & Casino Offer an On-Site Business Center to Assist Guests With Personal and Business Needs? How Can I Have Packages Sent to the Hotel? Yes. The Business Services Center can assist with overnight courier services, private mini-suite rentals, communication equipment rentals, copying assistance, complimentary notary services, internet, and fax service. For more information, contact the Business Services Center at 702.590.9750, fax to 702.590.7112 or email bsc@aria.com. Does Your Hotel Offer a Workout Facility? Yes. The Fitness Center is located inside of The Spa & Salon at ARIA. Access is included in the daily resort fee. Facilities passes are also available for $50 per day and three-day passes are $130. These passes include use of the wet areas, Ganbanyoku heated-stone beds, Shio Salt Room, Outdoor Therapy Pool and all amenities. How Do I Get my Line of Casino Credit Set Up? To set up a line of credit through the casino online, please visit the Casino page of the ARIA website and fill out the Marker Limit Application. If you have any further questions, please contact Casino Marketing VIP Services at 702.590.7000. Wheelchair and scooter rentals are available at the bell desk on a first come first serve basis. A refundable deposit is required. Can I Purchase Gift Cards for ARIA? Are They Good at all MGM Resorts Properties? ARIA gift cards are available in any amount ranging from $50 up to $2,500 and are redeemable at any MGM Resorts International property. They may be purchased through the ARIA Business Services Center or Elements. Our international guests will need to contact our Business Services Center at +1.702.590.9755. Can I order a gift for a guest's arrival? Can I send an amenity to a hotel guest? What is the ARIA at Home Store? 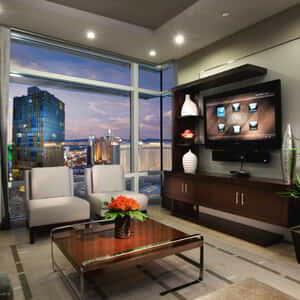 ARIA at Home provides you access to the comforts of the ARIA guestroom and suites at your home. Sealy Posturepedic mattresses, pillows, pillow cases, sheet sets and ARIA Signature Scent Sticks are all available for purchase. For additional information, please call Elements at 702.204.2200 or 702.590.8735 or visit the ARIA at Home page on the ARIA website. ARIA Resort & Casino hotel rooms and suites are smoke-free (except for certain designated ARIA Sky Suites). If there is evidence of smoking of any substance in your non-smoking room/suite, you will incur a minimum deep cleaning fee of $500 for rooms and $1000 for suites in the ARIA Resort Tower, and a fee of $1000 for all non-smoking rooms and suites in ARIA Sky Suites charged to your hotel account. Please note that e-cigs, vapors, hookahs, marijuana etc. fall under our non-smoking policy. Cleaning fees will be applied to smoking in areas that are non-smoking. We have designated smoking areas throughout the casino, bars, and other areas (but use of marijuana is prohibited in both smoking and non-smoking areas). Contact a resort employee for location information regarding designated smoking areas. Contact the ARIA front desk by calling 866.590.7111 and ask for the front desk or call direct at 702.590.9710. You can also email checkout@aria.com. How Do I Apply for a Job at ARIA? Visit www.mgmresortscareers.com then choose ARIA in the job search drop down button. Can I Request a Donation From ARIA? Live Entertainment Tax is a 9% fee applied to all live productions in Las Vegas. This has been included in the price of your ticket. Can You Send Me a Brochure About the Hotel? Please contact ARIA Room Reservations Department at 866.359.7757 or 702.590.7757. You can also reference the Download Brochures page on the ARIA website. Can You Send Information on Your Restaurants? Downloadable restaurant menus and information is available on the ARIA website under Dining. However, should you require additional information please contact The Concierge at ARIA. You can reach The Concierge at ARIA at 866-347-2742, 702.590.9520 or fill out our online request form on our Concierge section of the ARIA website. We'll make your time at the ARIA unforgettable. Whatever you want to do while you’re here, we can make it happen. Do hotel rooms greet you as you walk in the door? Do they address you by name, or wish you “Goodnight"? It’s the start of what will be an extraordinary night.